The UK's leading, award-winning skin clinic has arrived in Cambridge. The clinic formerly known as ‘Cambridge Skin and Laser Clinic’has been transformed into our latest sk:n clinic. Not only will Dr Nathan Holt and the same friendly team be continuing their skilful work under the sk:n brand, but we are delighted to be able to improve upon the aesthetic offering, by introducing a range of additional, clinically proven treatments into the clinic. The service is professional but friendly and relaxed! Skn Clinics Cambridge Brooklands Avenue are rated an average of 4.8 out of 5 based on 229 reviews. 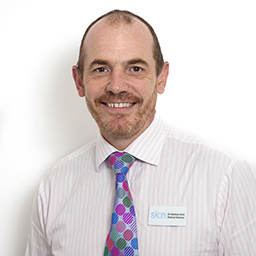 The sk:n team in Cambridge, led by Doctor Nathan Holt, will ensure that your visit to the clinic is truly worthwhile: at sk:n we are passionate about helping you discover better skin. So, whether you suffer from acne, unwanted facial hair, or simply just want to freshen up your complexion – we have the most effective treatments on the market to help you achieve the results you long for.